Come celebrate New Mexico’s newest National Monument. 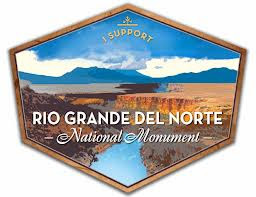 Welcome to the Rio Grande Del Norte National Monument! Casa Escondida Bed & Breakfast is a Taos, NM area B&B, offering lodging in historic Chimayo, NM (just 50 minutes south of Taos, on the High Road to Taos). President Obama proclaimed these 240,000 acres of Northern New Mexico to be a national treasure. This proclamation will protect these lands from future development, as well as preserve the historic uses of this land for all of the current patrons (fishermen, hunters, ranchers, conservationists, recreationists, etc). 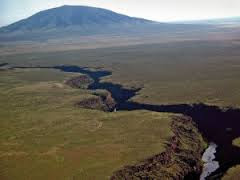 The gorge that runs through the Rio Grande Del Norte National Monument begins just north of the New Mexico state line, in southern Colorado and then runs 96 miles to the south! One section of the Rio Grande River that runs through the gorge has been officially designated as a “wild and scenic river”. Some areas of the gorge have a depth of 800 feet! Mountain bikers love the trails around the rim of the gorge and paddlers love the river. Birders will adore the Rio Grande Del Norte National Monument as well. You are sure to see raptors such as owls, eagles, hawks, falcons and more. During the spring and fall months, when migratory birds are on the move, you will see even more birds due to this area being located on the migratory flyway. Are you a fisherman? Pike, trout and smallmouth bass abound in the Rio Grande River. 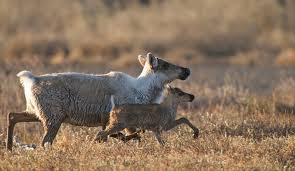 You could also spot mule deer or elk. Some of the elk herds can number upto as many as 300! There are many activities for you to enjoy within the Rio Grande Del Norte National Monument, such as guided hikes, guided fishing tours, hot air balloon rides over the gorge, guided rafting tours, photo tours, guided llama treks and more. So when you wonder about things to do during your Taos vacation, put a day at the Rio Grande Del Norte National Monument at the top of your list. It is a wonderful way to experience the Taos area during your New Mexico vacation. Casa Escondida B&B is a delightful New Mexico retreat, which has rooms available year-round. We are perfect for a romantic New Mexico getaway too. Contact Casa Escondida B&B to check room availability or to inquire about a reservation. Casa Escondida Bed & Breakfast is a green bed & breakfast, which provides pet-friendly lodging in 4 of our 8 guest rooms. Enjoy your New Mexico travels AND the Rio Grande Del Norte National Monument! We look forward to having you as our guest.